Home / Where’s the Sun? It certainly isn’t out today. We are under a pesky layer of ice. 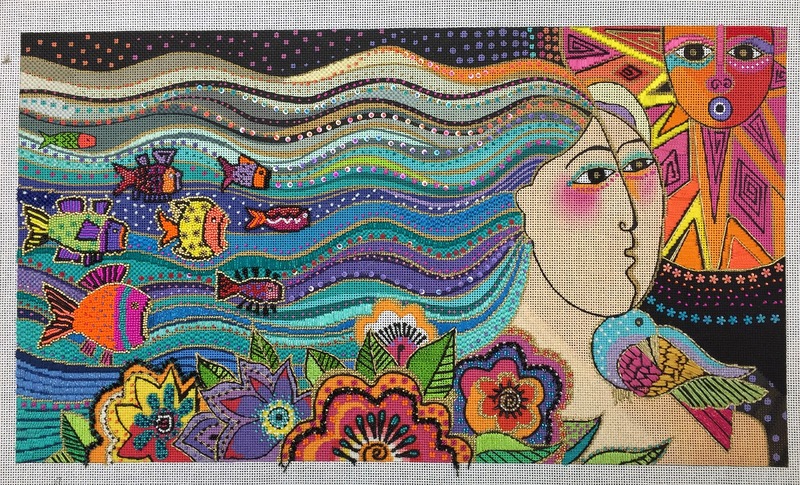 The sun is shining brightly in Mikayla by Laurel Burch! 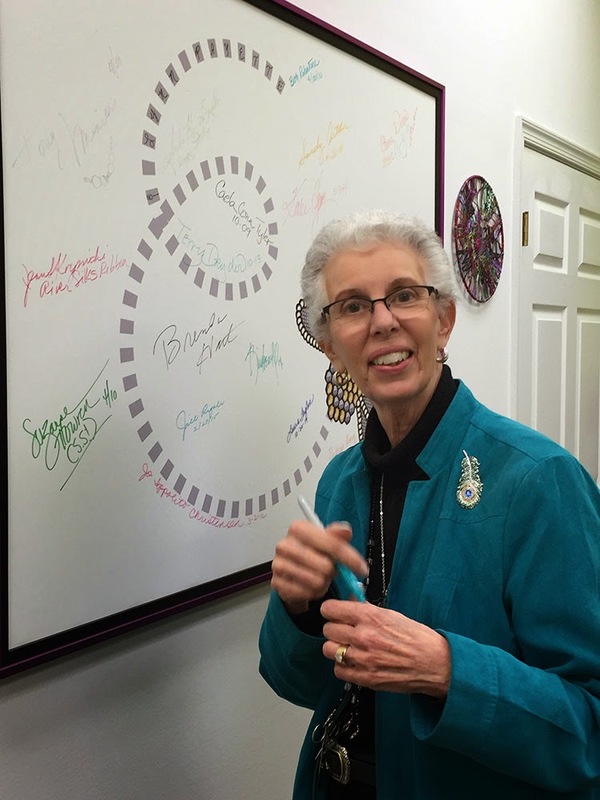 This is a great piece that Jill Rigoli came to teach us. So much fun. A zillion colors of silk and beads and sequins. What else could a girl want? 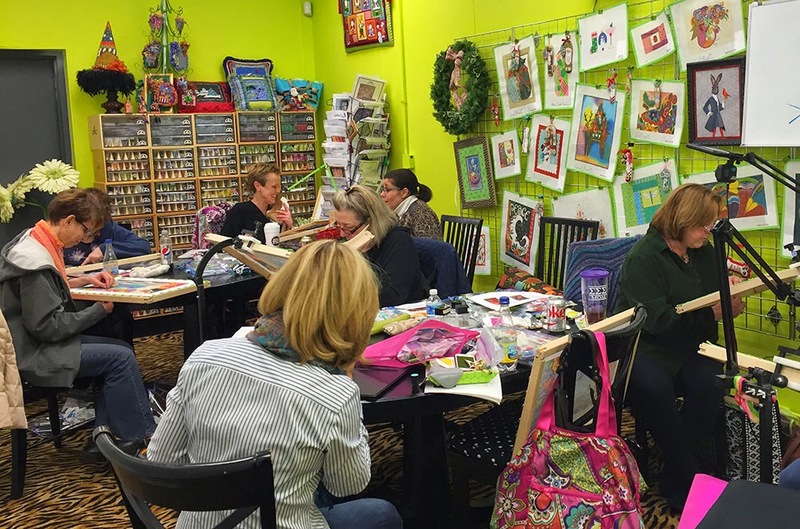 We had a great group of stitcher friends for the class. They came from all over, Illinois, Connecticutt, Virginia, Pennsylvania and of course our local Maryland girls. 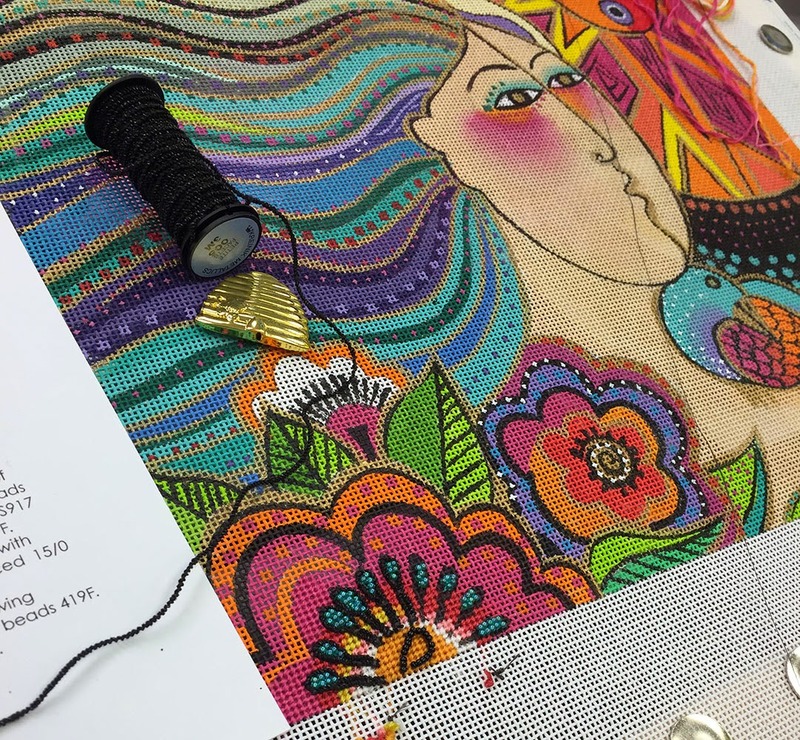 Jill had all sorts of great tips and tricks for stitching this piece. Mikayla’s blush is going to be real blush. 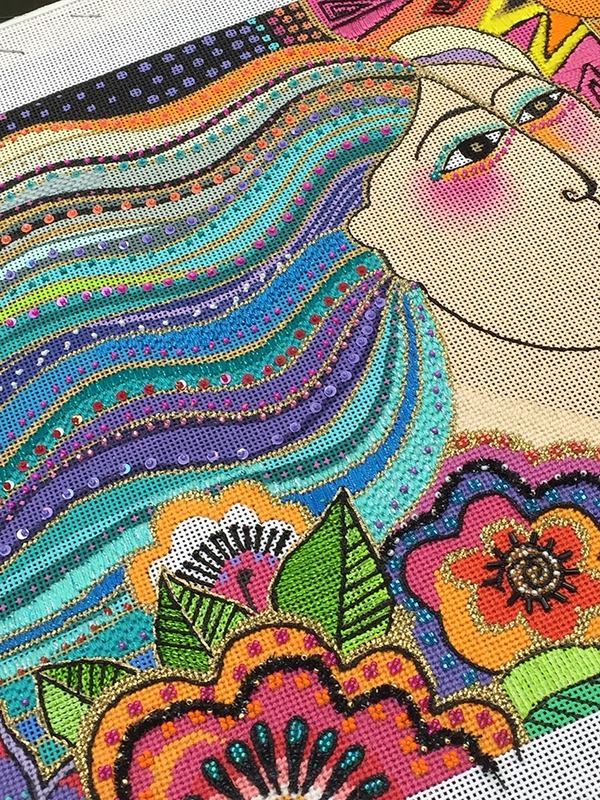 The beaded sequins are magical. I love everyone of them. Jill suggests when couching to leave the thread you are couching on the spool so as to waste less thread. 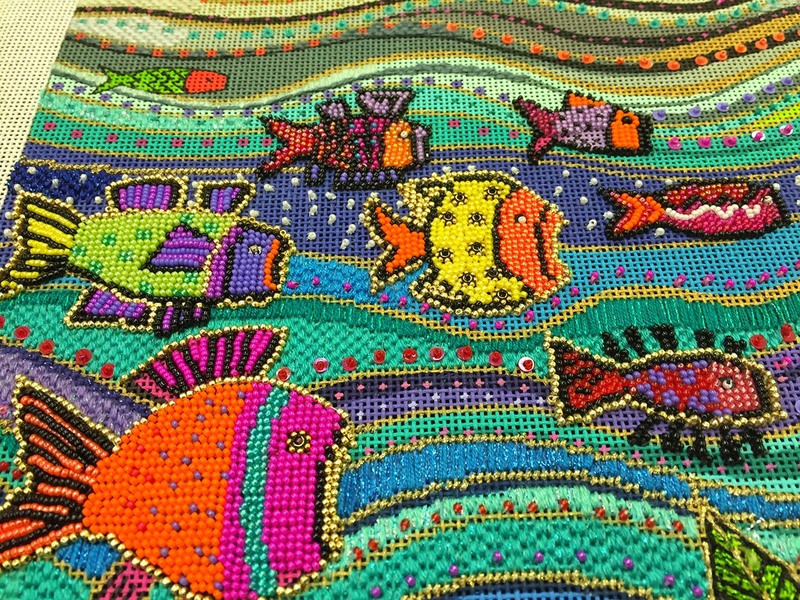 You know I love the beaded fish. Look at all the fabulous details in the flowers! 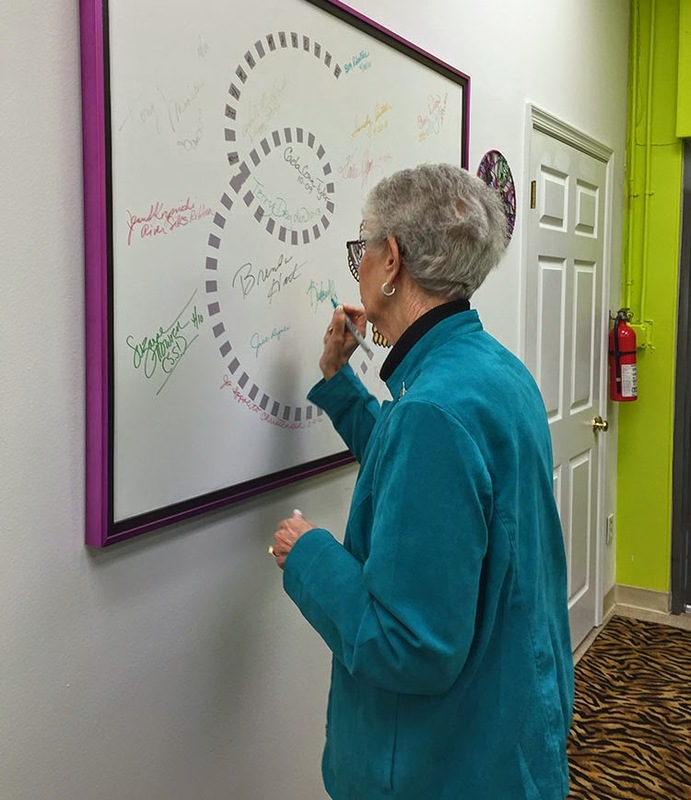 Since this was Jill’s first time at the shop, we invited her to sign our autograph board. This is one of our favorite traditions. Jill is a great teacher and very talented. We all loved her stitch choices for Mikayla. She will be back soon. Thank you Jill. Can’t wait until our next visit! 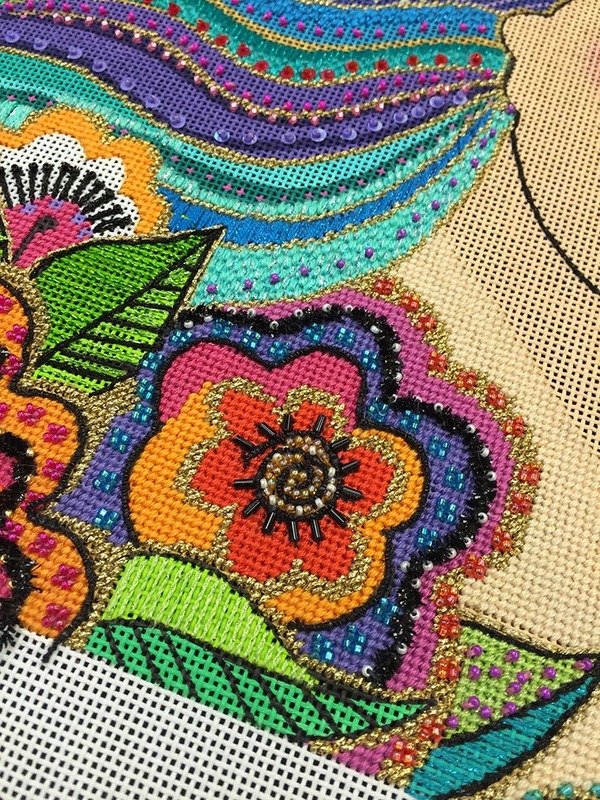 Class was such fun – my mom and I were so sad that Sunday didn't work out but we made sure to stitch all day on our own! 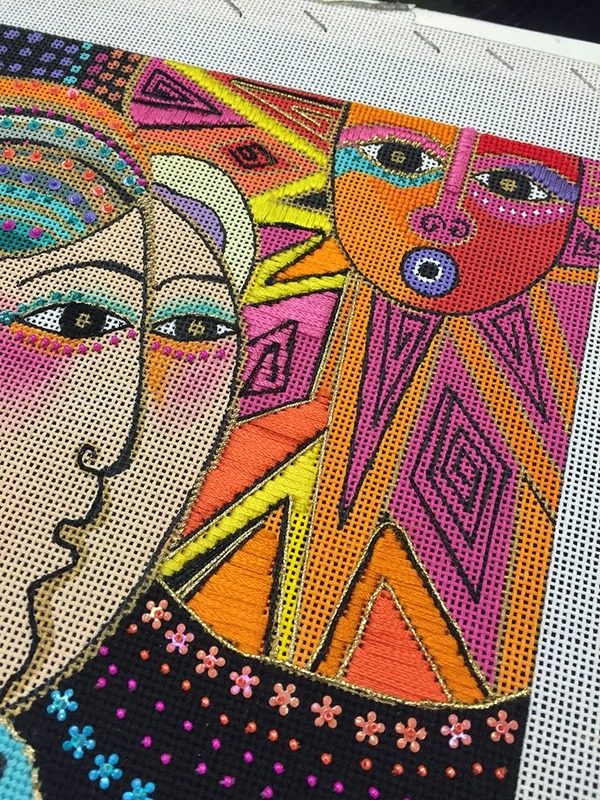 This canvas is amazing – and Jill really freed our minds to do whatever we want when stitching this. 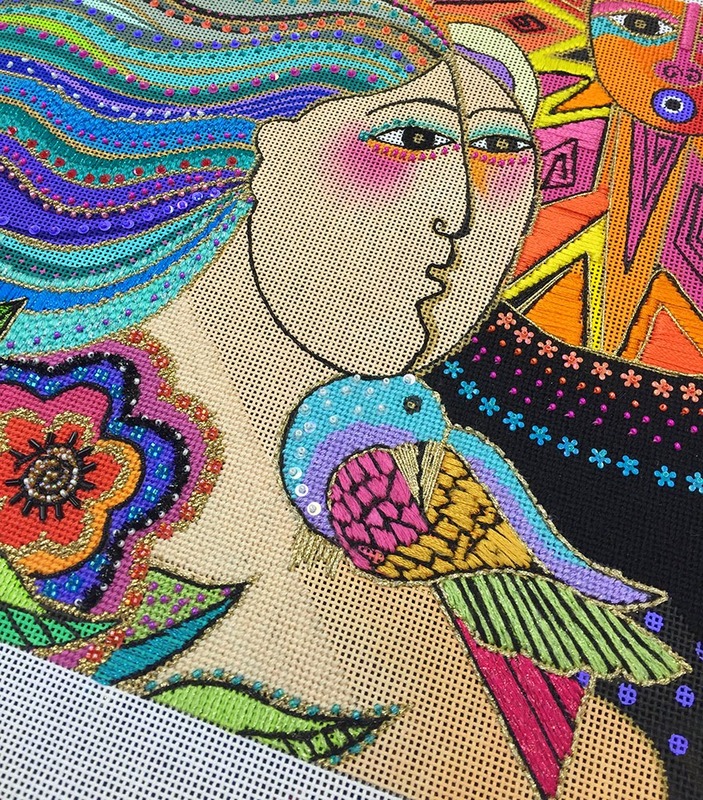 I'm with you on the beaded fish…I am completely smitten with them! 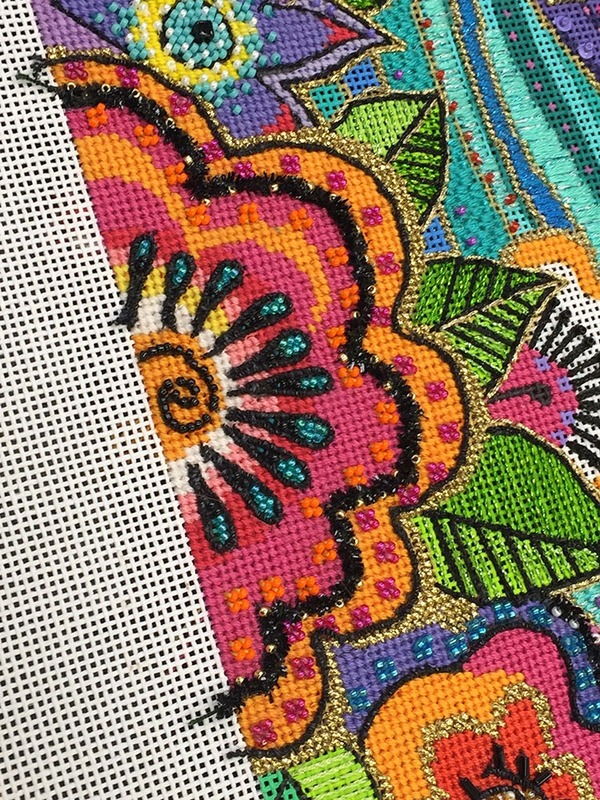 And the sequins….yum yum yum! Thanks again for a fun weekend – can't wait to do it again! thanks so much for coming. It was great to finally meet you and your mom. So sorry the weather gods didn't play along but glad you got some stitching in. Looking forward to your next visit.